The winner of the competition celebrated today to commemorate the Non-Farm Payroll’s Live Webinar 100th edition with Wayne McDonnell is ForexQueens with the guess of 120k! Congratulations! FXStreet and FX Bootcamp are partners of the NFP’s Live Webinar 100th edition with Wayne McDonnell, sponsored by FIBO Group. 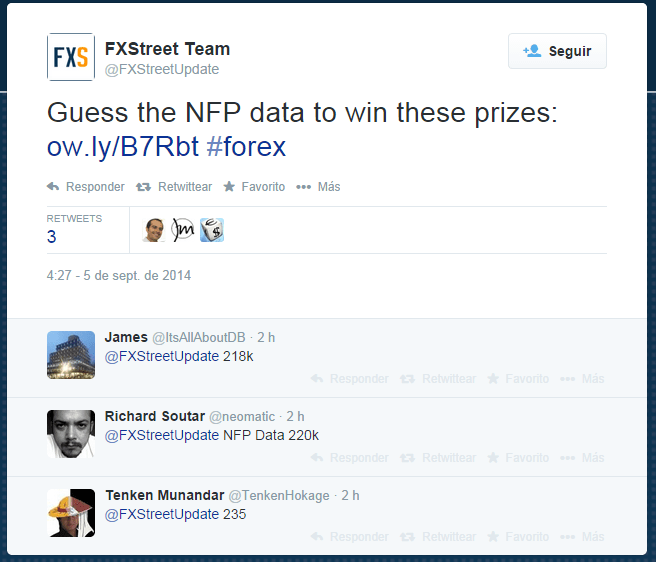 Previous Previous post: Guess NFP today’s data and win a trading pack valued at $200! Next Next post: The Trader of the Year Contest is back!